Operating a vehicle with an alcohol concentration of over .16. Most often, individuals charged with aggravated DWI in NH have submitted to a blood or breath test which revealed an alcohol concentration of.16 or greater – that is, a level double NH’s legal limit of impairment of.08. The NH DWI Lawyers at Tenn And Tenn, P.A. have more than 20 years of experience helping individuals charged with Aggravated DWI. Contact us today to discuss your criminal charge. Installation of an Ignition Interlock device in your vehicle for not less than 12 months nor more than 2 years at your expense. Also, if convicted of aggravated DWI because you were transporting a person under the age of sixteen, you will be sentenced to a maximum license loss of two years. 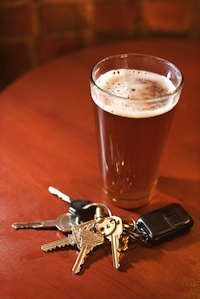 As the above penalties make clear, aggravated DWI in NH is a serious offense. The penalties are harsh and have a long-term impact on your life and livelihood, including your ability to obtain and retain employment. Prosecutors and judges alike view aggravated DWI as a very serious criminal offense. Having a motor vehicle license in NH is a privilege. Driving with a Blood Alcohol Content of a .16, more than twice the legal limit, can land you in jail. The NH DUI attorneys at Tenn And Tenn, P.A. have been helping citizens accused of DWI and Aggravated DWI for more than 20 years. The lawyers at Tenn And Tenn, P.A. have been voted among the The Best Lawyers in America®, and have been recognized by the prestigious Super Lawyers® Magazine, an industry standard for ranking the professional achievement of lawyers throughout the United States. If you have any questions concerning your NH criminal charge, contact Tenn And Tenn, P.A. today.